Meet our Paws Dream family! I have always had a huge love for animals, growing up with them from a young age. When I was a little girl, I grew up with a cinnamon Golden Retriever, Crystal and I grew up seeing endless numbers of stray, beach dogs while vacationing with my parents. Seeing stray, starving, abused and neglected dogs and animals stayed with me from a young child and helped shape the animal loving person I am today. I knew I wanted to help animals and be a voice for them. If I could help them all, I would in a heartbeat, but I know that I cannot. To do my best in aiding the neglected animals, when I was in college, I volunteered at animal shelters, specifically the Animal Rescue League of Southern Rhode Island. I worked with animals on different aspects of training to make them better candidates for adoption, on socialization skills, and just plain loving. The animals love it when they have a pal just sit with them, love and pamper them to show them that they are loved nd their lives do matter! This is how my husband and I got our first dog together, a chocolate Labrador, Harley. He had these sad eyes that sucked us right in, he lived to be 12.5 years old and not a day goes by that I don’t think of him! To further my love of animals I studied Animal Veterinary Science courses at the University of Rhode Island, where I received my bachelors degree, majoring in art studio and minoring in psychology. I have also received my certificate for dog training from the Animal Behavior College. The college program focuses on training, but it goes in depth about breed types, anatomy, diseases, and vaccines, Etc… I also am certified in pet first aid from the American Red Cross. I am always trying to expand my knowledge on animals by books, the Internet, and speaking with different people in the pet industry. I always advocate for animals, donate to many rescue groups around the country and in other countries. Specifically, I am part of the team with Great Dane Rescue of New England helping with networking Danes in need, raising funds and awareness, doing home visits for potential families and helping teach people about ethical breeding vs ‘backyard’ breeders who do not care about breeding to sustain the breed or care about the lineage and health of the dogs that they are breeding. 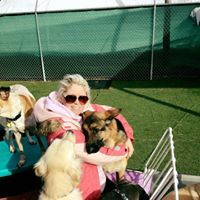 I also am actively involved with helping dogs abroad who are in desperate need of help, for me, rescue has no borders and if I can help an animal in need, wherever it is, I will. I work with Paaws Antigua and Dogs & Cats of Antigua to advocate for animal welfare, to educate and to help place dogs into forever homes. Derek has always dreamed of being in a profession that helps people and also animals. Derek joined the US Coast Guard and eventually was stationed on Cape Cod. In 2009 he was honorably discharged as a partially disabled veteran. 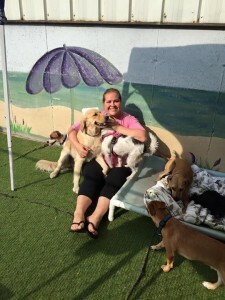 Derek now helps around the daycare and enjoys spending time with all the daycare doggies at Paws Dream but also has a fulltime job at Cape Cod Ambulance as an EMT. 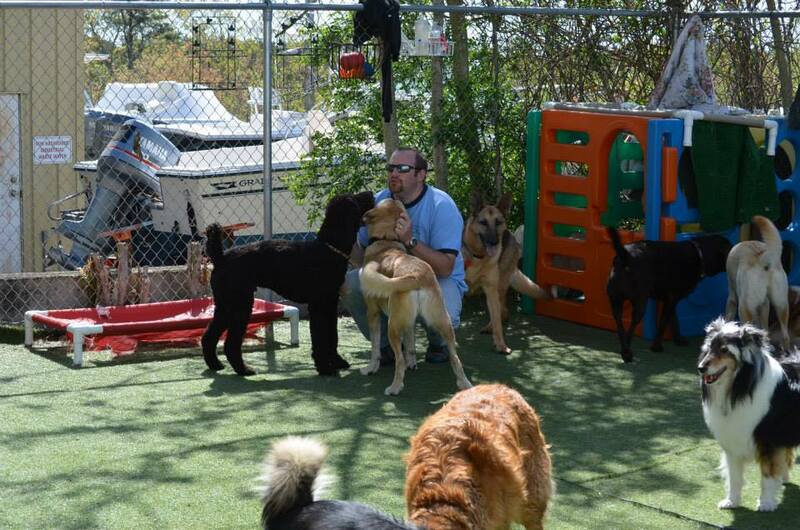 Derek enjoys doing rescue work and helping animals in need. He volunteers with IFAW and has aided in numerous dolphin rescues as well as helping with other sea animals. He also finds joy in rescuing dogs and helping find forever homes for them. Derek and Lindsey have 3 young daughters, Elexa, Grace and Ella, as well as all rescued; Bashful the chinchilla, Willow the Great Dane, Daisy the Saint Bernard, and 2 Antiguan puppies, Coconut and Tallulah. Renata grew up in Brazil always having many different animals; dogs, cats, rabbits, turtles, guinea pigs, hamsters… She always has been an animal lover and grew up saving stray animals around her house and neighborhood. Renata began working at Paws Dream in 2007 and is now the head manager of Paws Dream. 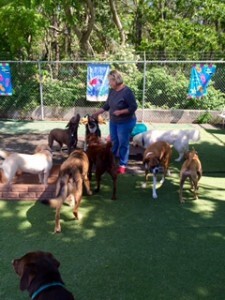 Renata makes sure that all of our Paws Dream doggies are happy, healthy, comfortable and well cared for. She currently has 4 dogs of her own, Rocco, Drew, Lola and Carl. Dee is a passionate animal lover and really cares about their well being. 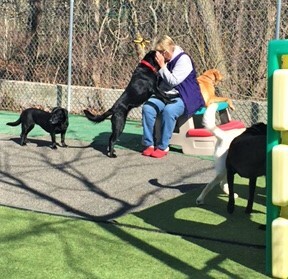 She especially loves giving attention and massages to older dogs and dogs that may not be as outgoing as other dogs and gaining their trust. 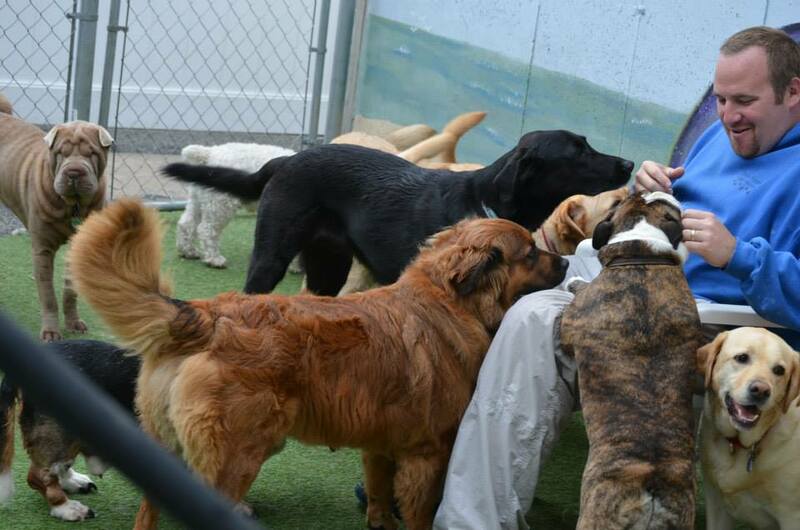 She takes her time and is sure to give every dog a fair chance with coming out of their shell and feeling her love. Dee started working at Paws Dream in 2006. 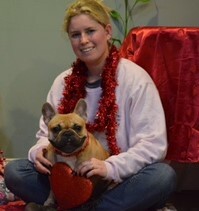 Dee is loved by all of our Paws Dream doggies and is always being showered with kisses! 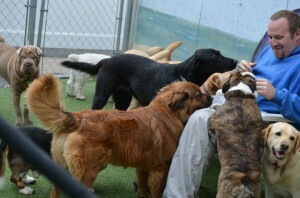 You will always find Dee with a dog on her lap and many huddled and laying by her feet! 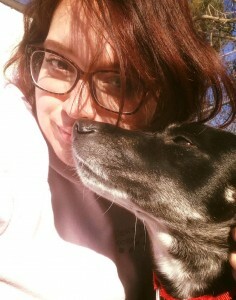 She currently has a 10 year old black lab mix, Tiga, that was rescued from Antigua as a tiny puppy. Dee advocates for animal welfare and recently has become a travel buddy for numerous animals flying to their new forever homes. Kayla grew up always having dogs in her life. Her grandfather was constantly rescuing different breeds and Kayla would help care for them and train them. 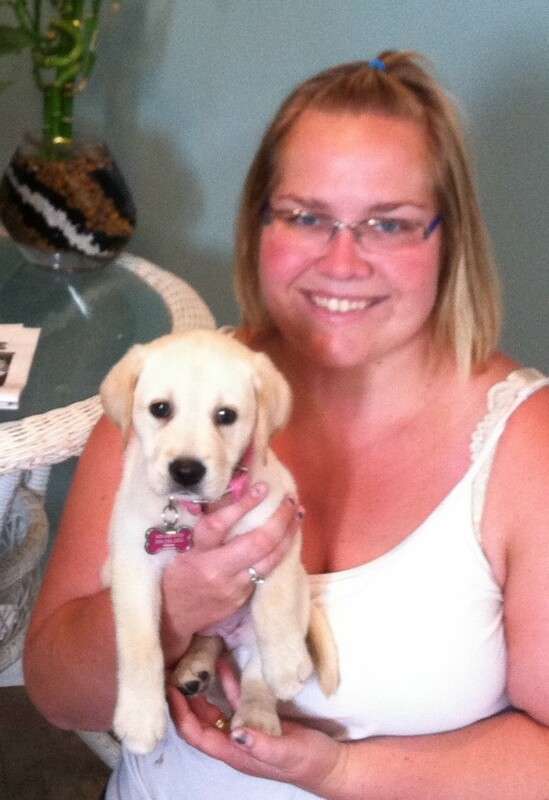 She has experience with dogs with many different medical conditions as well. As a teenager, Kayla volunteered her time to help train rescue dogs. 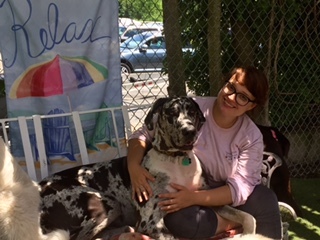 Kayla has worked at Paws Dream since 2014 and loves all of the Paws Dream doggies! She is always very positive and brings a happy personality to work each day! 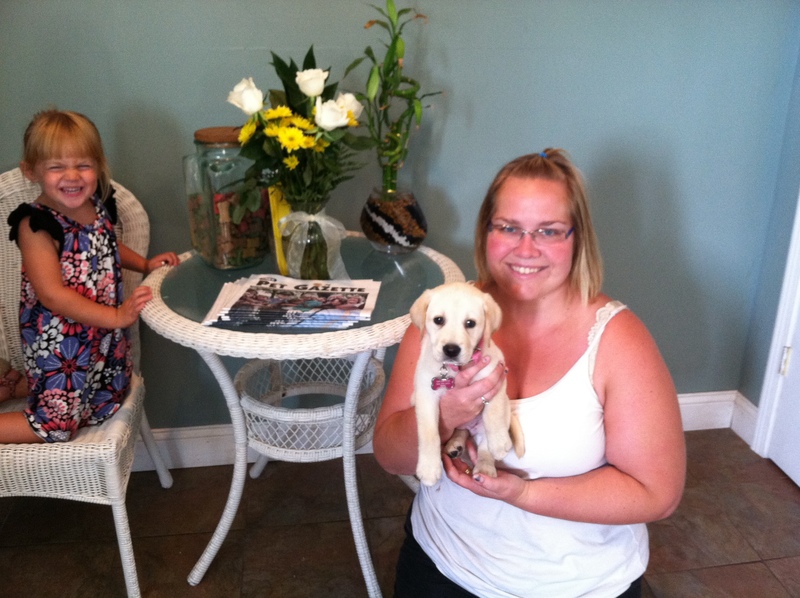 Kayla lives in Yarmouth with her 2 dogs, Willy the Pomeranian and Dookie the Maltese. Kayla also has pet rats.